Angle Metal Mfg. 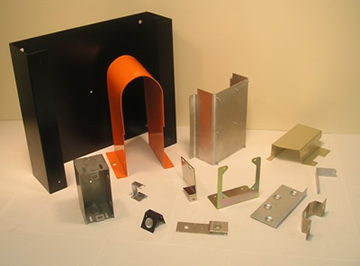 is located in Elk Grove Village, Illinois and has been providing sheet metal fabrication services to the Chicagoland area since 1985. We provide quality engineering and design service for prototype projects through short, medium and long runs. We will quote your blueprint with our competitive prices and complete your order on time with accuracy and careful workmanship. We are prepared to accept your specifications via telephone, or you can send your prints and sketches via fax or email. On the web, please send your Adobe (.pdf) blueprint file. We can also accept image (.jpg, .gif) and certain other file types. Please let us know if there is another format you would like to use. For our contact information and driving directions, please click here.